Who knew coloring could be so restful, even for adults? One way I can often determine if an app is worth my time is by putting it through a specific test. If I get so sucked into an app that I forget I’m actually supposed to be gathering thoughts to write up a review, it’s because that app is generally pretty awesome. 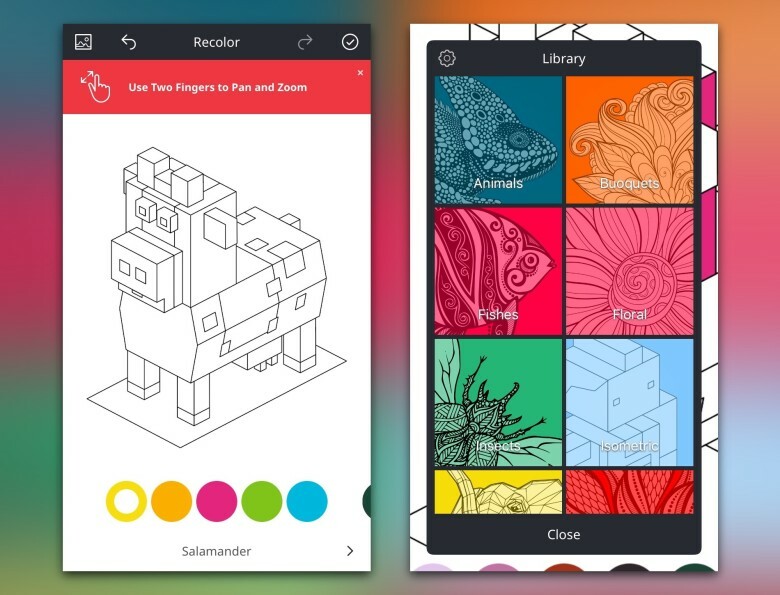 I had this somewhat rare experience with Recolor, a new coloring book app for adults on iOS. New from Tap Tap Tap is Serenity, a relaxation app for iPhone or iPad. Relaxation app? What’s one of those? It’s an app for relaxing by; in this case, a digital jukebox of all things peaceful, calm, tranquil, and imperturbable. It plays sounds and moving images to lull you to sleep, or at least to a less troubled state. It’s an anti-alarm clock. Without the clock.